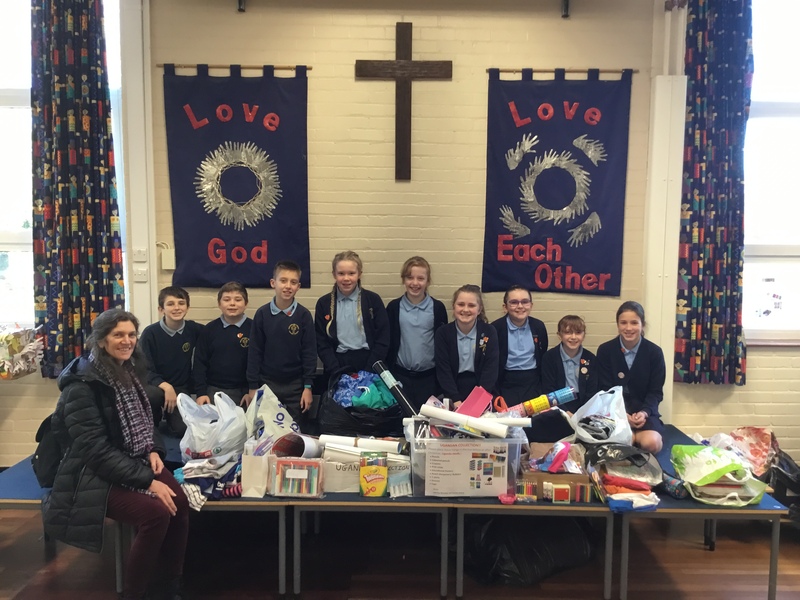 Since December we have been collecting gifts for children in some of the Ugandan Schools. 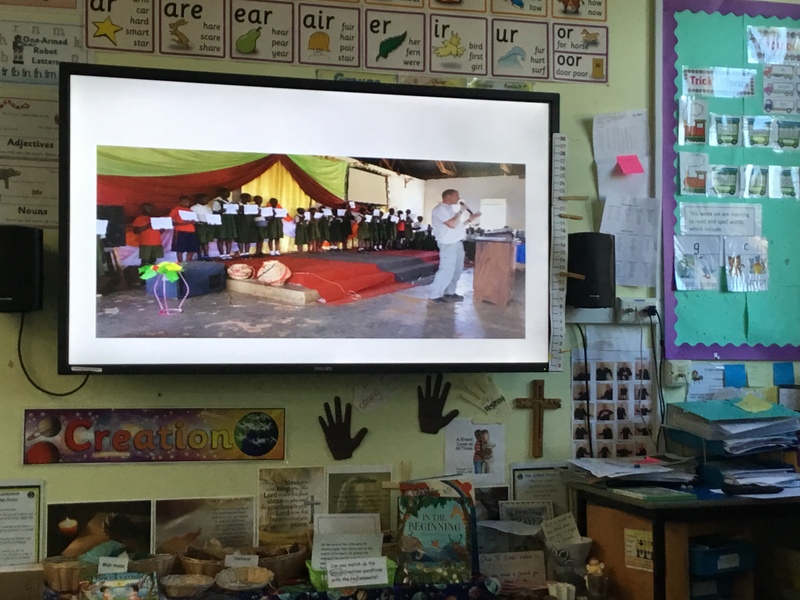 In September Justus Miwanda visited our school. He is the lead person in a program to help 500 orphaned and displaced children. 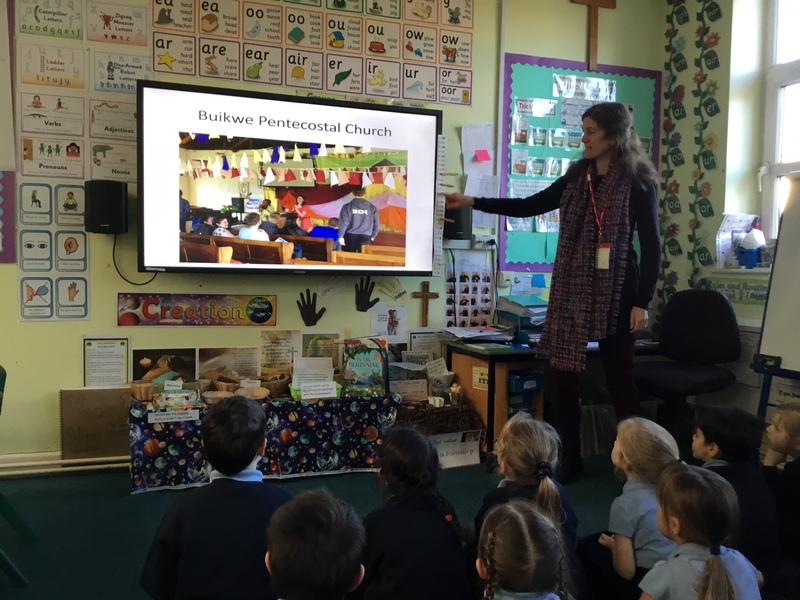 When International Needs was searching for someone to take up the lead, the local church fellowship was gracious in their recommendation of Rev. 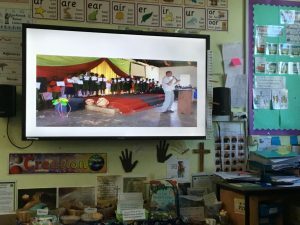 Justus Miwanda. 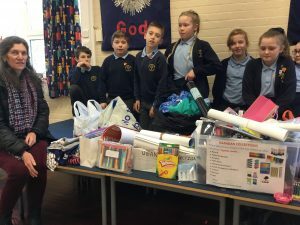 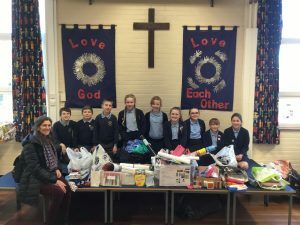 Justus’ visit set many of our children thinking and some of our School Council and the Worship and Justice Committee asked if this Christmas we could raise money and ask for donations of books, pens, pencils etc for the Ugandan Children. 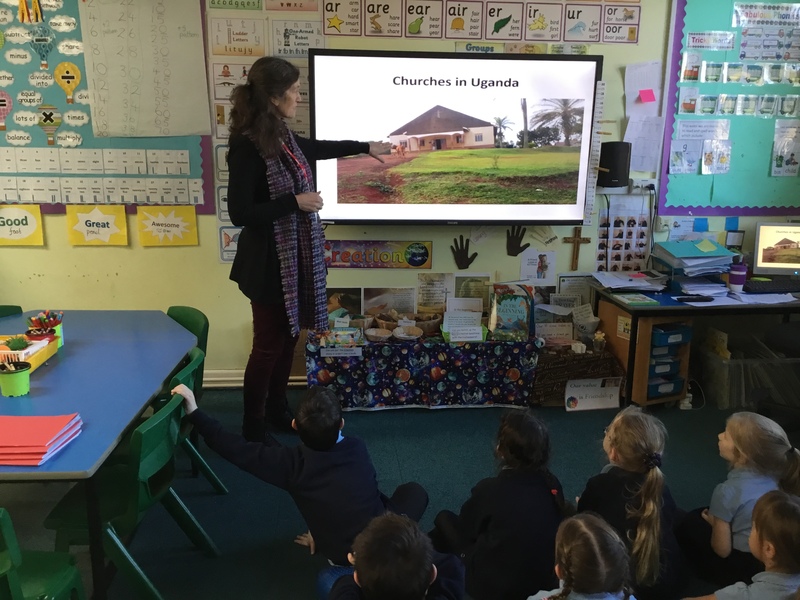 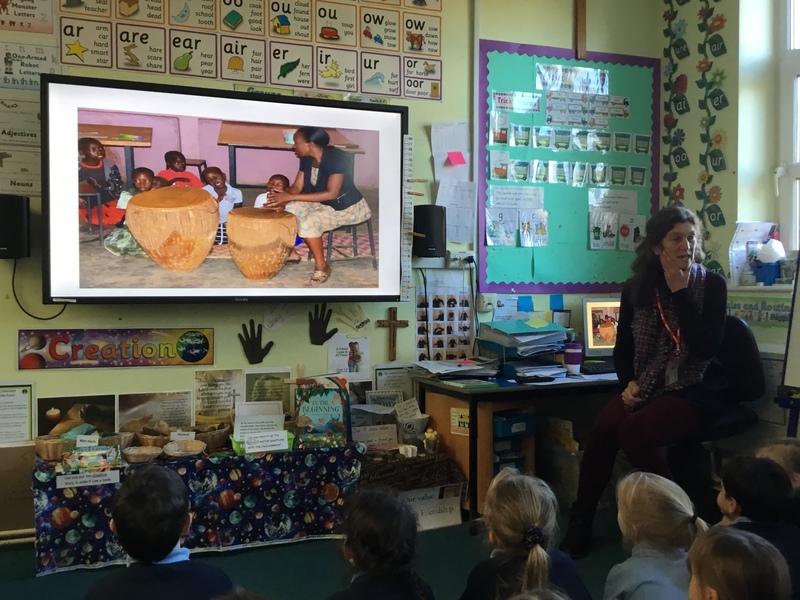 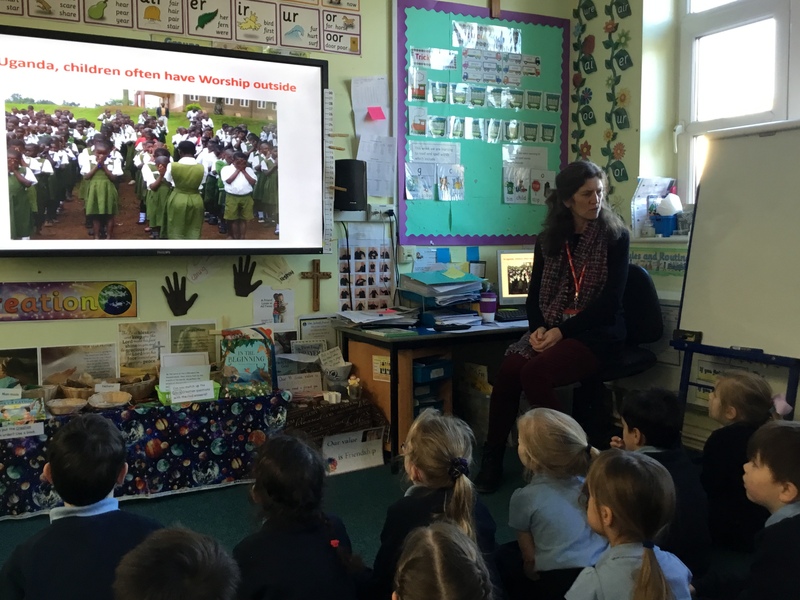 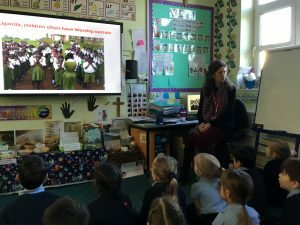 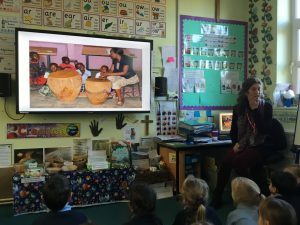 Today Mrs Marshall came into school to collect the gifts, and whilst she was here, gave a talk to our Year 1 children all about life in a Ugandan School.